My printer number is Pixma iP2500 rather than iP2600. What do I order for it? 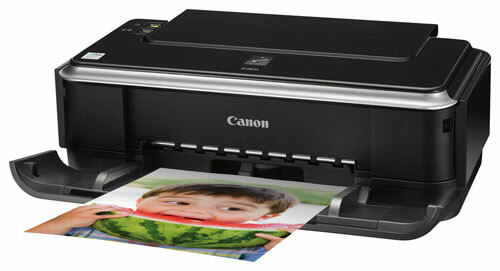 Your Canon Pixma IP2600 printer is a solid printer, but one day you'll run out of ink. What will you do? Odds are it won't matter if you get cartridges from an office supply, or chase around the local discount stores, it will be expensive to replace Canon IP2600 ink. Don't worry. You will not have to pay those insane prices! You can get a massive discount, you just have to know where to find your discount. Just order your cartridges directly from Cartridge Save and you can save money on your replacement Canon IP2600 cartridges today! Why Pay More For Canon Pixma IP2600 Cartridges? If you are uncomfortable about ordering stuff online, relax. At Cartridge Save, we offer you a full money back guarantee if you're not totally satisfied with your purchase for any reason at all. Not only will we do that, but we will deliver your order for free! That's right, get your discount Pixma IP2600 cartridges delivered directly to your door with FREE delivery, and a full money back guarantee! Order directly from us at Cartridge Save and start saving on all your ink replacements right away! The Canon Pixma iP2600 is a good value and stylish printer that delivers photo lab quality printouts that aim to please the home user. It prints documents excellently, too, but for a device claiming to be a photo printer, it lacks direct print features and a few other essentials that can make it more efficient. This sleek and stylish photo printer with the semi-mirrored finish measures 142mm tall, 253mm deep, and 442mm wide and weighs approximately 3.7kg. The input and output paper trays can be folded neatly when not in use. The Canon Pixma iP2600 maintains a minimalist look with a simple control panel and a USB connection for the PC. The Pixma iP2600 uses the inkjet 4-ink print engine with a minimum 2-picoliter micro-nozzles and Canon's FINE cartridges. The design is one of the selling points of the Canon Pixma iP2600 because it can fold up for easy storage when not in use. Photo and text output look impressive on this lightweight device. Colours are evenly balanced and text look crisp. Inks for the Canon Pixma iP2600 are cheaper than its predecessors because of the high-yield cartridges. There are no memory card slots and a PictBridge port on the Canon Pixma iP2600, limiting its capacity as an efficient photo printer. Canon needs to improve the print engine so brighter colours do not come out with a greyish tint. A USB cord is not included in the package, and the printer's frame is a dust and fingerprint magnet, which can be an eyesore. Print speeds of the Canon Pixma iP2600 can range from mediocre to sluggish but image quality more than makes up for the slowish speed.